Photo: Frasera albomarginata habitat near Squaw and Papoose Rock. Location of Collection No. 532. Eastern Mojave Vegetation Frasera albomarginata habitat near Squaw and Papoose Rock. Location of Collection No. 532. Photograph taken June 4, 2008. Field Notes: 4-Jun-08 near Squaw and Papoose Rock. Autecology of Desert Elkweed Frasera albomarginata S. Watson (Syn: Swertia a.) Gentianaceae in the American Southwest: near Squaw and Papoose Rock. 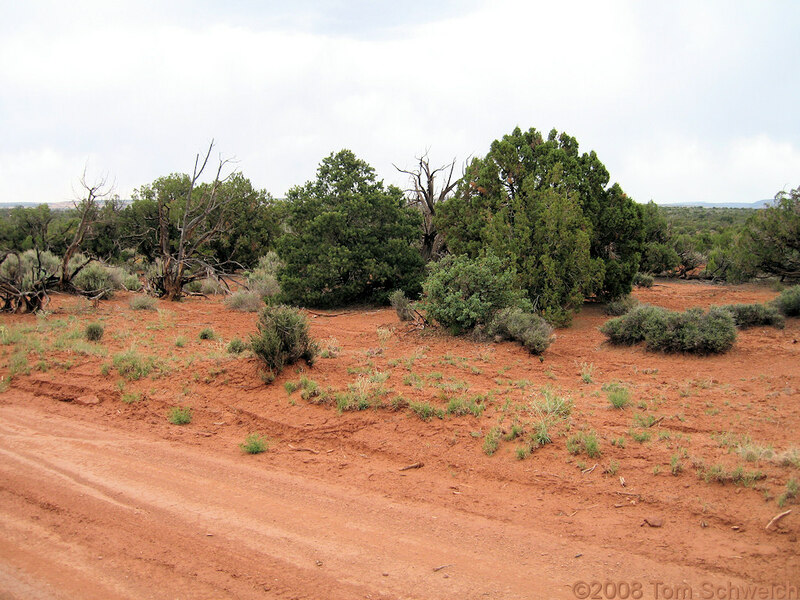 Wooden Shoe Road (B256), San Juan County, Utah: near Squaw and Papoose Rock. Other photos about Frasera albomarginata or Utah, San Juan County.